Well, that maxim applies to the product at hand that I just simply need to talk about: My new DW 5000 double pedal. You see, I am not a technocrat. So, if you asked me to tell you what type of metal alloy is in the pedals or its components, I don’t know. If you asked me to talk about the model of the springs used on the pedals, I don’t know. Finally, if you asked me about the specifications of the pedals’ components, again, I don’t know. I leave these details to the fine people at DW who design these pedals as well as, in my opinion, the world’s finest drums. But here is what I do know and I will borrow from our above featured quote to make my point: I know a great pedal when I play one. Let me share my observations this way. Not to talk about myself but to put my comments in perspective, consider this. 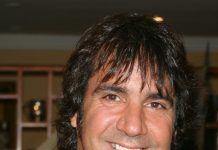 I am a working musician on the Jersey Shore. I play in a dance band and I work on average three nights a week. Gigs are sometimes outdoors in the Summer and in the fall and winter the elements can be a challenge at times. I also play in differently configured groups ranging from a five piece band to an acoustic duo. The point? I need a pedal that is diverse and capable of doing many things. I need one that is capable of giving me a sensitive touch when the volume needs to be backed off yet, when I need that power and punch I need to know I can count on my pedal to come through. Now, I won’t mention names but to satisfy my needs I have done one of two things in the past. Either I have carried various pedals to fit the need of my particular show or, I have basically made the proverbial circle fit in a square and just make it happen the best I could. Needless to say, I have been through a number of “brand” name pedals. I won’t lie. Either method is frustrating and even though it may suffice I feel it detracts from my enjoyment of the job. So, I heard so much about DW pedals that I thought I might try one. I did some research and decided on the DW 5000 double pedal. Boy, did I make the right call. First, for what it’s worth the pedals look really good and it is not bulky. In fact, the first thing I noticed when I picked up the pedals was their light weight. But don’t be deceived by the light weight of the pedals. Although I can’t explain how they did it the light weight works very well for playing different styles. Obviously for a lighter feel the light weight is very comfortable. However, I found that the light weight works equally as well if you need power and punch from your pedals. 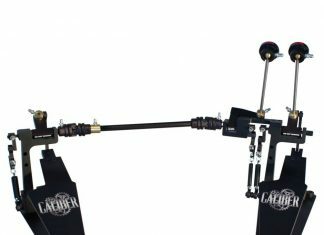 In fact, what is the biggest complaint that double pedal players have? The difference in sound between beaters. Well, somehow DW fixed that. In fact, I found–only with this pedal—no difference in sound. I would suggest to any player that that capability alone makes buying this pedal worth it. Every other pedal I have played has left me with that dreaded double pedal disparity in sound. I know I don’t like and my other players have told me the same thing. Additionally, the action on these pedals is simply ridiculous. Regardless of what type of technique you employ when you play (heel up/down; ankle roll, etc.) this pedal can accommodate you. It is lightweight and very comfortable to play. In fact, the DW 5000 also features a unique gripped design on the heels of each pedal (where your heel would rest) which allows the player to not only feel around the pedal (if you will) but to also gain grip with your heel. Finally, a nice touch—in terms of the claw mechanism (which secures the pedal to the bass drum rim)—is the implementation of a hand twisted flat knob. Many other pedals require drum keys to fasten them to the bass drum which is not in of itself bad but, in a dark nightclub or when you have misplaced your drum key, that sometimes can be a nuisance. So, in the end I will simply say this. There was nothing that disappointed me with these pedals. In fact, I didn’t think they could match up to the hype that preceded them. I am glad that I was wrong on that one. As far as DW pedals go, I am now a customer for life and a happy one at that. I might not be able to tell you mechanically why this pedal is so good but despite that, I know a great pedal when I play one. 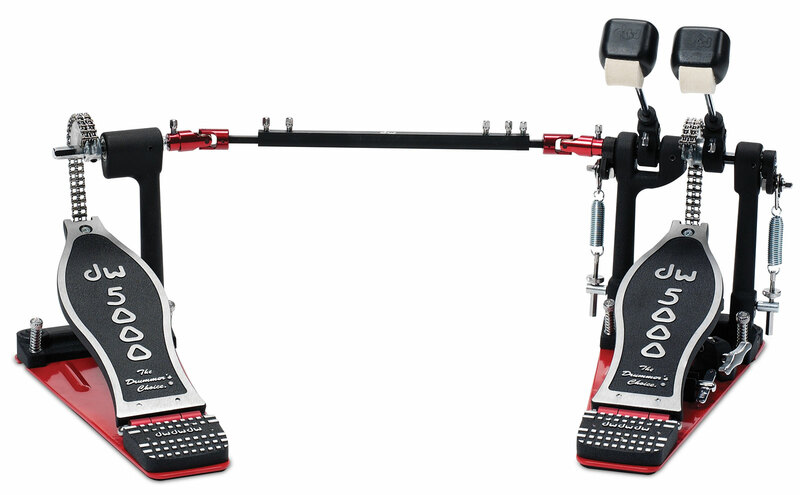 The DW 5000 double pedal—it is obscenely fabulous.